Dealing with divorce is stressful even when you and your spouse behave civilly. Divorce requires you to make momentous decisions and, in many cases, interact with the court system for the first time in your life. When you are dealing with divorce or any family law matter, our attorney draws on her background in psychology and counseling to provide you with emotional support throughout the process. 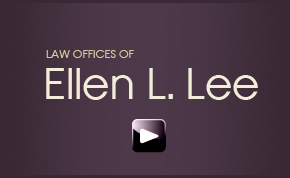 At the same, the Law Offices of Ellen L. Lee is not reluctant to be tough and aggressive when it serves the client’s interests. A good divorce attorney doesn’t merely deal with the paperwork. At our divorce law firm, we guide our clients through every phase of the process, from mediation and settlement negotiations to trial, when necessary. It is important to have a divorce attorney on your side who is a fierce advocate for your interests on such issues as property division, spousal support, child custody and child support. It is also important to have a lawyer who is emotionally supportive and will listen to your concerns and address them with compassion. Experience — Has the lawyer handled cases with issues similar to yours? Has the attorney represented clients through all phases of the process, including trial? Does the lawyer have experience in the full range of family law issues? Track record — Were previous clients pleased with their experiences with the attorney? Accessibility — Will you be able to get in touch with your attorney when you need to? Will the lawyer take your calls and respond to your emails and letters promptly? Involvement — Will you deal with the divorce attorney directly or with paralegals and legal assistants? 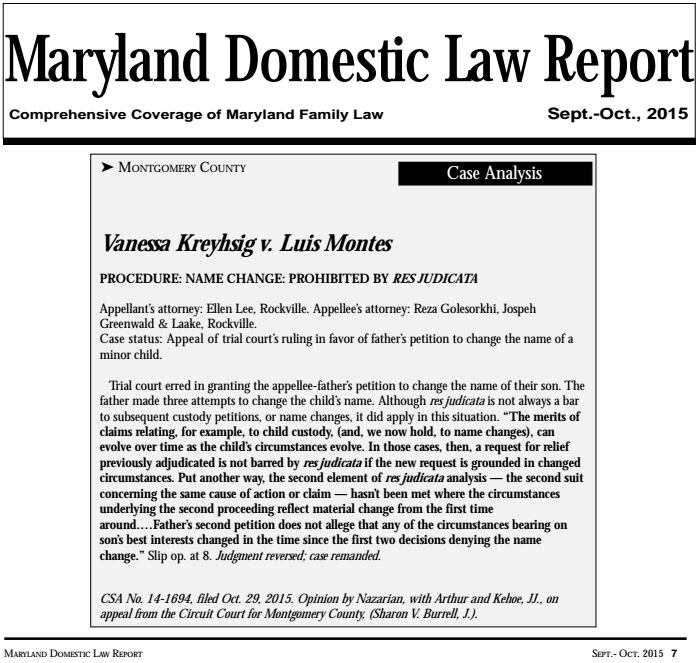 Reputation — Is the lawyer known and respected by other divorce lawyers in Maryland? Our Maryland divorce attorney offers clients compassionate support and aggressive representation. Call 240-552-6957 the Law Offices of Ellen L. Lee today or contact us online. 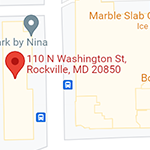 Conveniently located two blocks from the Rockville Courthouse, our law office serves clients in Montgomery County and throughout Maryland. We also have a satellite office in Bethesda.